Hide your valuables... pirates will soon be invading your party! Hiring pirate entertainment for your next corporate event, birthday party or other special event is the perfect way to entertain your guests. From pirate bands, pirate decorations, and popular pirate characters, you can deck your event out with the best pirate entertainment in town. The ladies will want to take pictures with them, the men will share a glass of rum with them, and the kids can sword fight with a real life pirate! And if the guests get out of hand... you can make 'em walk the plank. Arghh! 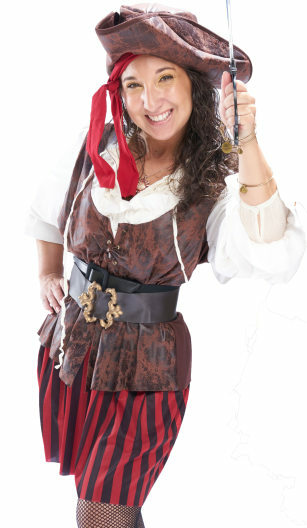 Search for Pirate Entertainment in Sterling Heights, Michigan above. Please note that these Pirate Entertainment may also travel to Clawson, Center Line, Pleasant Ridge, Utica, Huntington Woods, Lathrup Village, Beverly Hills, Oak Grove, Bloomfield Hills, Macomb, Bingham Farms, St Clair Shores, Rochester, Harper Woods, Washington, Grosse Pointe Woods, Harrison Township, Franklin, Sylvan Lake, Keego Harbor, Grosse Pointe Farms, Grosse Pointe, Grosse Pointe Park, Oakland, Ray Township, Lake Orion, Lake Angelus, West Bloomfield, Orchard Lake, and New Baltimore.